I’m Not a Criminal. Why Should I Care About Criminal Justice Reform? Criminal justice reform has been a hot topic lately. It’s something that both Republicans and Democrats can find common ground on. However, I get the sense that many Americans aren’t convinced that it would benefit them personally. Most of us are probably law-obeying citizens whom would never dream of being involved in illicit activities. We don’t have regular run-ins with the police. We don’t sell or use illegal drugs. We’re just normal people trying to do what’s right and take care of our families. So, why should non-criminals care about criminal justice reform? First, eliminating or reducing mandatory minimum sentences would benefit everyone. By law, people convicted of certain crimes must spend a minimum number of years in prison. The problem with this approach is that it takes away discretion from judges and punishes different offenders the same. To their chagrin, judges cannot reduce someone’s sentence if they think it’s unfair based on individual circumstances. There are many examples of people with no prior convictions being sentenced to 5, 10, or 20 mandatory years in prison for non-violent petty crimes. Mandatory minimums are a big reason why the prison population has exploded over the past few decades. The number of drug-offenders in prison has increased 21 times since mandatory minimums went into effect in 1980. Nearly half of all federal prisoners are serving time for drugs. 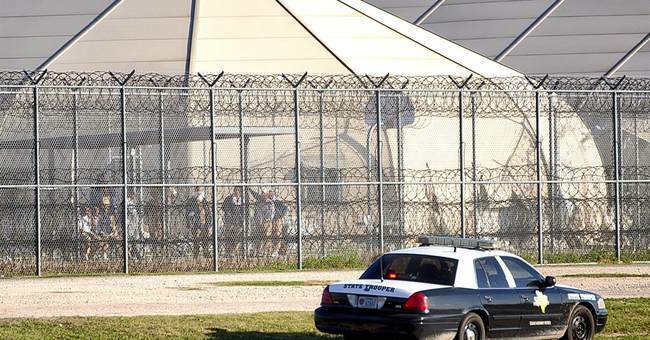 There are several reasons why you should care about the overpopulated prison population. Keep in mind that you’re paying for their stay with your taxes. Fiscal conservatives should think twice before supporting taxpayers subsidizing all the costs of imprisoned drug users. Due to overcrowded jails, some violent offenders (think: rapists and child molesters) are being released early to make room for non-violent drug offenders required to serve a set amount of years. The Smarter Sentencing Act would reduce federal mandatory minimum sentences for non-violent drug offenders: from 20-10-5 to 10-5-2, respectively. The Department of Justice finds that it would save taxpayers $23.9 billion over the next 20 years. Secondly, civil asset forfeiture reform would benefit everyone. Civil asset forfeiture has allowed police departments to seize private property from people suspected of a crime and sell it for a profit. Someone does not necessarily need to be convicted or even arrested to get their property taken away from them. It could affect you someday. There are instances of people getting their houses or cars taken away because someone else was accused of committing a crime in or on your property. So, be careful about who you let borrow your car. Not all civil asset forfeiture cases have to do with drugs. Have you ever gambled with your friends? There are examples of SWAT Teams raiding otherwise peaceful high-stake poker games and seizing all the cash. In one instance, they stole $150,000. This puts many police officers in an unwanted position too. Police officers will tell you that they don’t make the laws—they only enforce them. I’m sure most will privately say that they have better things to do than raid a home with ten men playing poker in the basement. Lastly, allowing adults an opportunity to seal non-violent criminal records will benefit everyone. Some of us got lucky and didn’t get caught. But others have their youthful mistakes follow them around for a lifetime. Many ex-offenders have trouble finding employment. This sometimes leads to them towards a life of crime, or being dependent on taxpayer-funded welfare. The REDEEM Act would create a path for people who have demonstrated the will to be rehabilitated, to expunge their records of non-violent offenses so that they are able to become productive members of society. Criminal justice reform will benefit everyone from overtaxed law-obeying citizens to ex-offenders seeking redemption. It’s an issue that has transcended party lines, and the time to fix America’s broken criminal justice system is now.